The academic journals of Energy (134, 248-255) and Applied Thermal Engineering (88, 410-417) published the work on laser based power engineering by C. W. Wu, et al. from institute of Mechanics, Chinese Academy of Sciences. 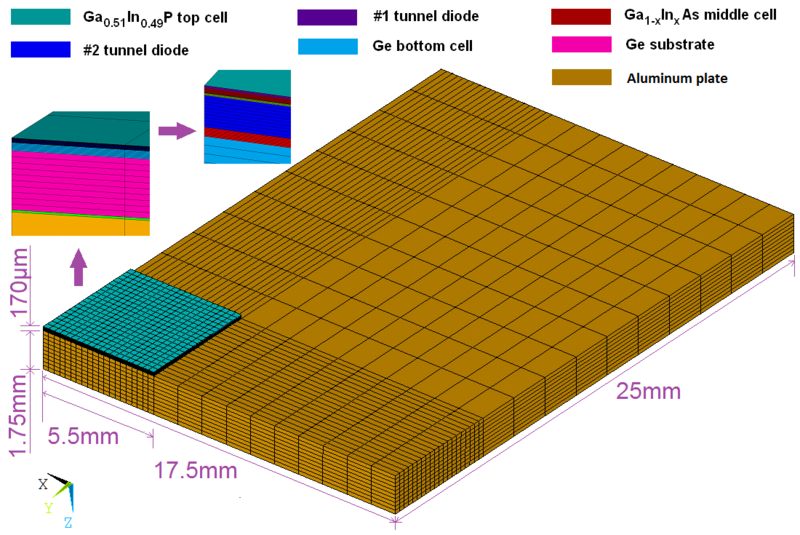 The concept of dual laser beam irradiation was firstly demonstrated on the photovoltaic cell, of which the temperature dependent efficiency was investigated for wireless power transmission.The monochromatic light absorption in multi-junction photovoltaic cell is formulated with accounting for multiple reflections as well as interferences. An iterative algorithm was established to calculate the depositions of incident laser energy in every layer. 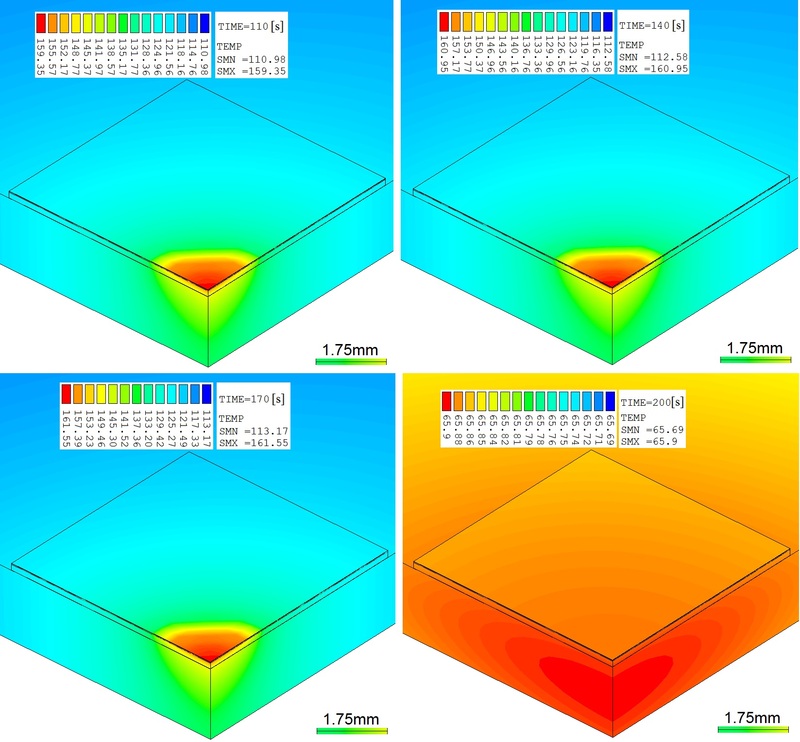 The temperature characteristics of the photovoltaic cell are analyzed with finite element method. These methods could be used directly for the optimization of the laser power beaming technology.